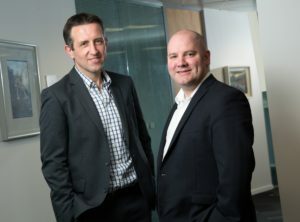 Birmingham-based Friend MTS, a provider of online anti-piracy systems and supplier of an innovative live watermarking system, has boosted its team with the appointment of Simon Hanna as Senior Solutions Architect. Hanna is a specialist in video delivery platforms for Pay-TV and OTT (over the top) operators, with more than 20 years’ experience working with major video entertainment operators and primary vendors in the worldwide Pay-TV industry across cable, satellite and telco customers. He’s worked at Ericsson, Microsoft, Liberate Technologies and most recently V-Nova Limited, where he provided support to its engineering, sales and marketing teams on its portfolio of IPTV and OTT video technology solutions as Solutions Manager. Friend MTS offers a platform, channel and content protection services to almost all of the world’s major Pay-TV operators, broadcasters and rights holders, to control where their video content flows for both live and non-live content across broadcast and OTT. In the role of Senior Solutions Architect, Hanna will utilise his experience of product and solutions management, integration and deployment, and customer program and project management, for its content protection services and anti-piracy solutions. Hanna will also be part of the Friend MTS’ cohort that is heading to the NAB Show and Conference in Las Vegas in April, where the company will showcase its anti-piracy product ASiD (Advanced Subscriber Identification) that uses a sophisticated but lightweight watermarking technology to identify originating subscriber accounts that are being used to retransmit live channels and events. The company will also demonstrate its portfolio of digital content security and automated monitoring software solutions for service providers, that deliver live and playback content to connected consumers whether distributed by means of traditional set-top-box or newer IP delivery / over-the-top (OTT) methods. Friend MTS is the world’s leading provider of technology-led platform and content protection services used by many of the world’s leading Pay-TV platforms. Its suite of managed services includes the world’s most deployed broadcast and OTT subscriber-level watermarking solution, operational daily in tens of millions of devices, coupled with global content monitoring for seamless discovery of theft, recovery of subscriber identity, and real-time session tear-down.